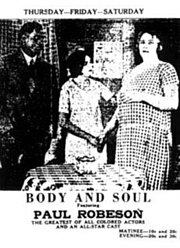 The legendary Paul Robeson in his acting debut – A 1925 Silent Film, “Body & Soul” – Directed by Oscar Micheaux. See “Body and Soul” – the first masterpiece of the silent screen era written, directed, and produced by prolific director Oscar Micheaux.- Tonight at SF MOMA, with a special Introduction by DJ Spooky. Besides telling you that Paul Robeson stars in it, I really don’t want to give anything away, but these African American-focused “race” films – made by Black filmmakers, featuring an all-Black cast, and intended for Black audiences – are few and far between. 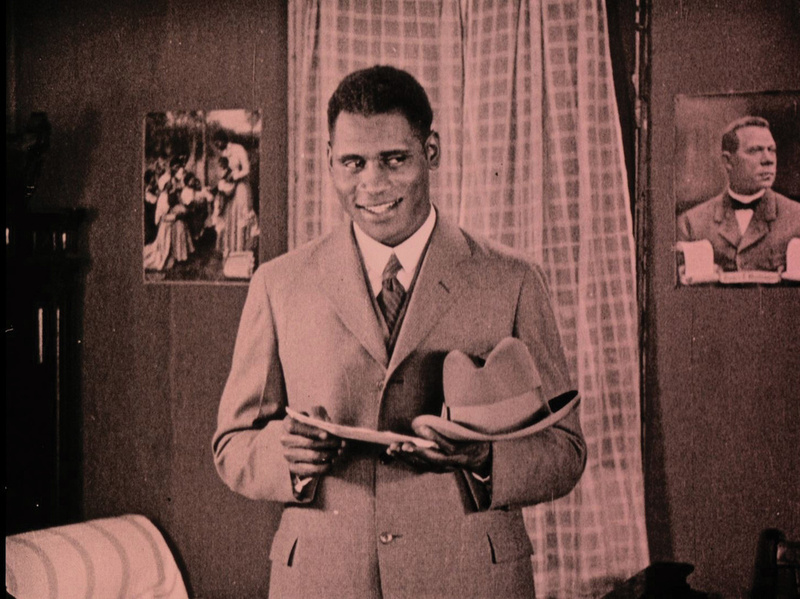 Micheaux was not only considered the first African American to produce a feature length film. He wrote, produced, and directed more than 40 films from 1919 to 1948. Robeson himself is something of a legend; besides being an actor, he was an All American football player, a lawyer, a political activist and a powerful and inspirational singer. The movie is available at the Internet Archive, but this is your chance to see it with DJ Spooky’s new awesome soundtrack for it – and with an introduction, in person, by DJ Spooky too. 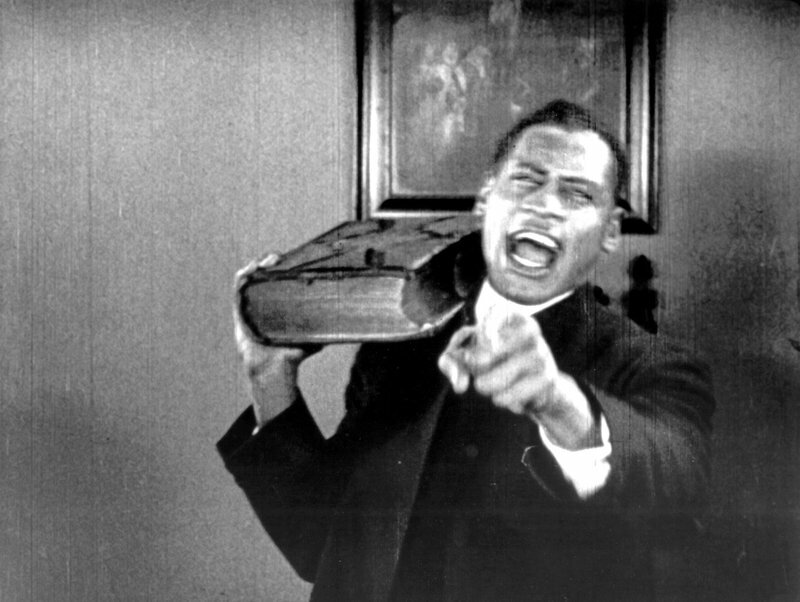 Paul Robeson in Oscar Micheaux’s “Body and Soul” – 1925.